“Hospitalization causes stress and anxiety. 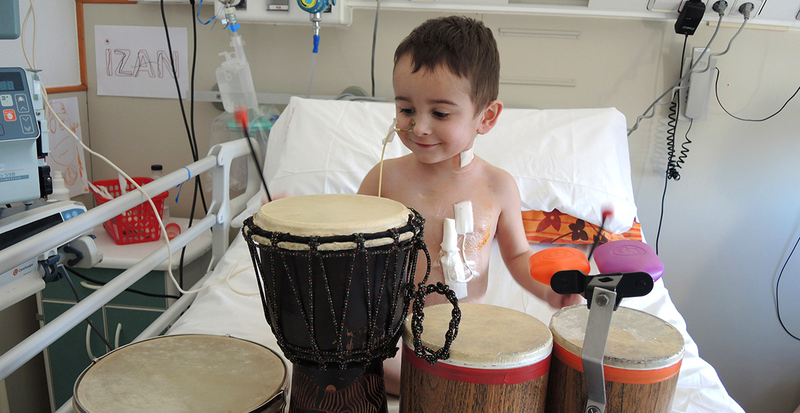 Music gives tools to experience it more positively"
It is a music therapy project aimed primarily at hospitalized chronic and/or long-stay children. PURPOSE: To support children with physical and/or psychological illnesses through music to help improve their quality of life, especially at the time of hospitalization. 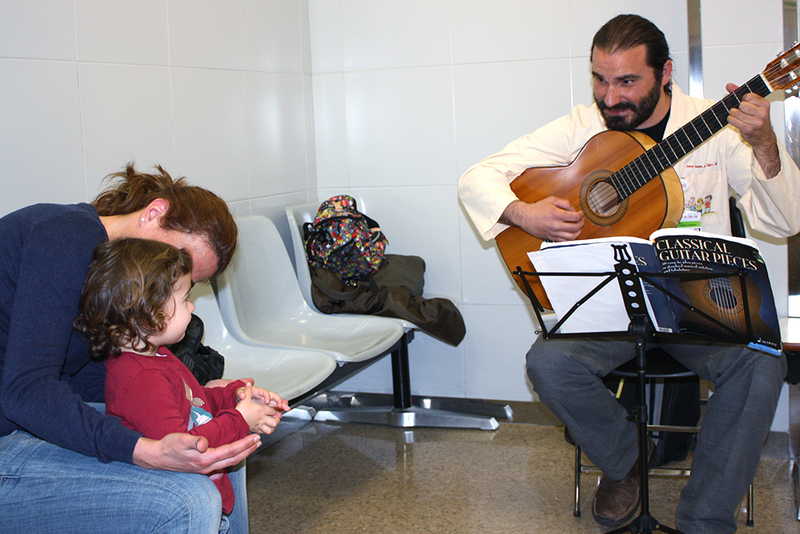 OBJECTIVE: To bring about improvements in children while taking into account their personal, social and cultural values, through physical movement with music and activities, with therapeutic objectives established for each individual case. METHODOLOGY: Live music is used as the main tool through rhythmic and listening activities which include song, hearing, movement, musical interpretation and improvisation and creation. WHAT DO CHILDREN AND THEIR FAMILIES EXPERIENCE WITH MUSIC? 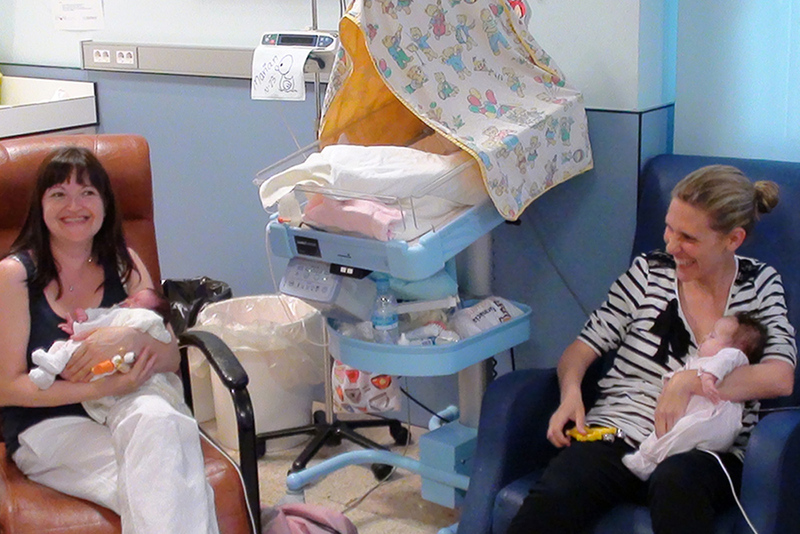 The sweetest visit of the week is the one we do for the little ones: those who are in incubators, those who being “babysat” by the father or mother, who are still waiting to go home… We sing lullabies and cradle songs together with the parents that strengthens the tie to the newborn. With each one we dedicate a song to welcome them to the world, which helps our parents to be present during the time when they are not yet all together at home. Before we go up to the floor we always visit the ICU. 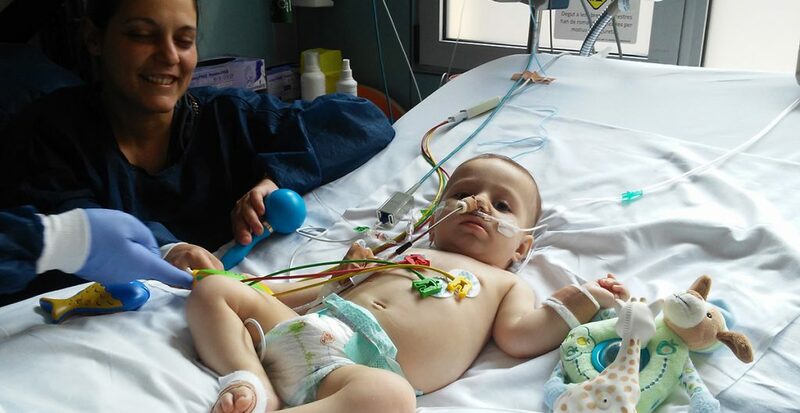 Often we find children who know other patients or make new friends that we will then run into in different units. 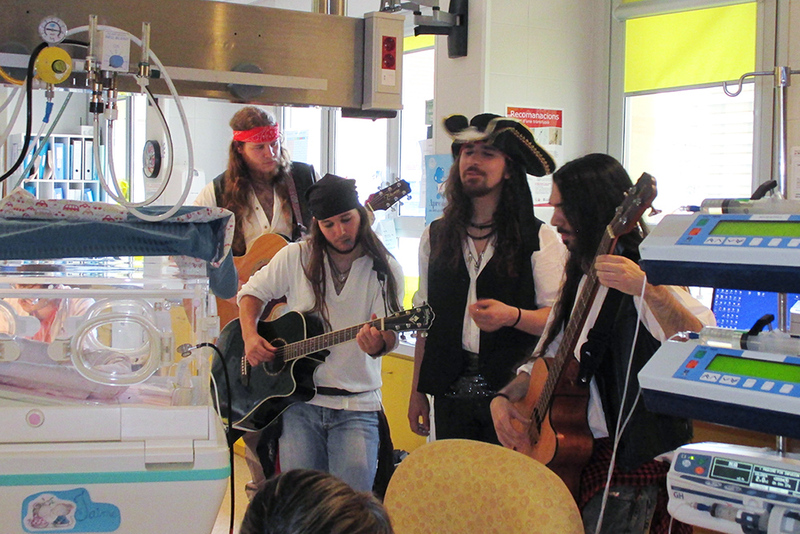 We see them in one of the most difficult times of hospitalization, and the music encourages them and their families to keep fighting. 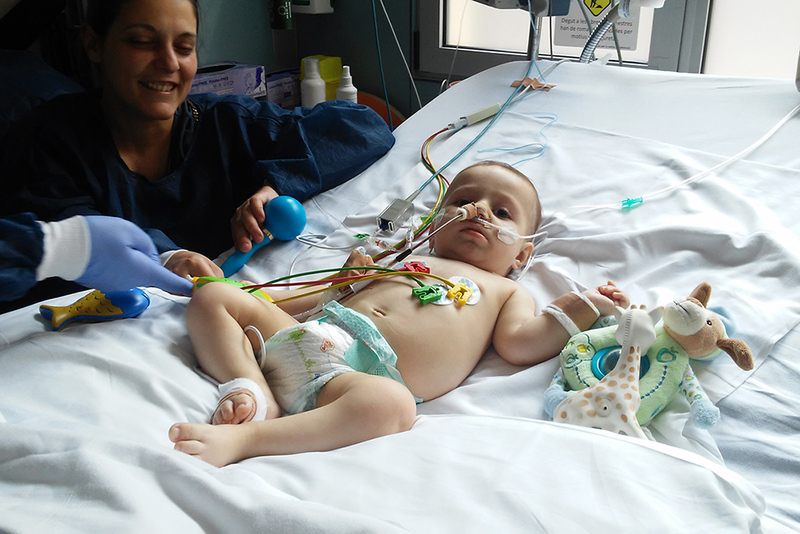 Often these children are limited when participating in hospital activities. 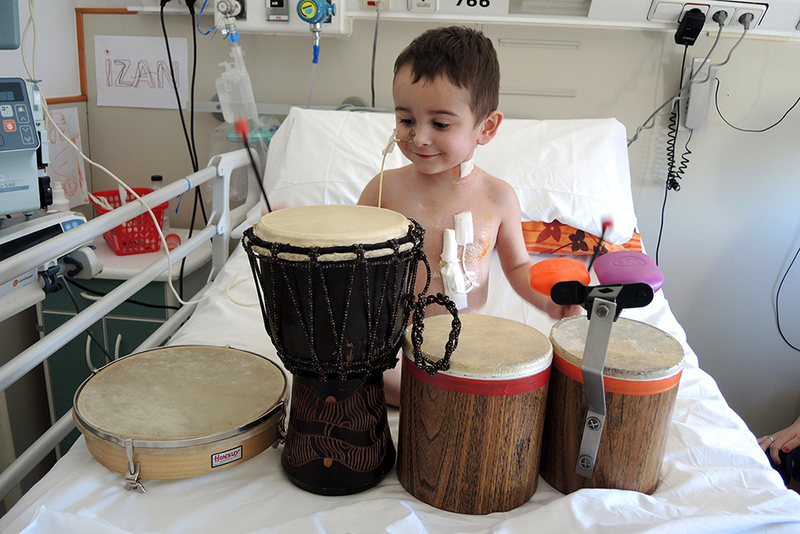 We bring music which helps them be joyful and enthusiastic for the time they have to stay in bed. It also helps them to understand something more about what is happening to them and to situate themselves in the new environment. The oncology sessions are endearing. Special ties are created with children and their families because we see them for a long time and habitually in an isolated area. Music helps them escape from the space they are in and enter into a different world. Teo, inside an isolation chamber, looks for a distraction. With instruments and the imagination we travel to the bottom of the sea. 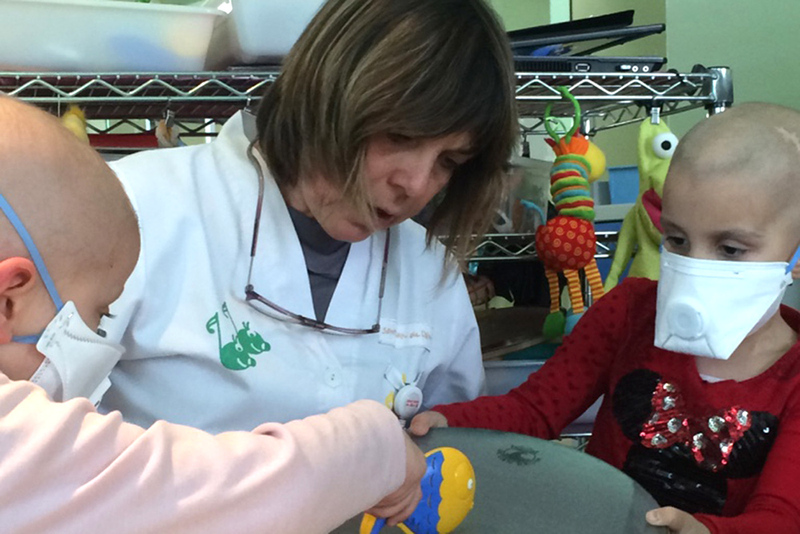 In the mental health unit of San Juan de Dios hospital, boys and girls enter into crises moments of their illnesses. 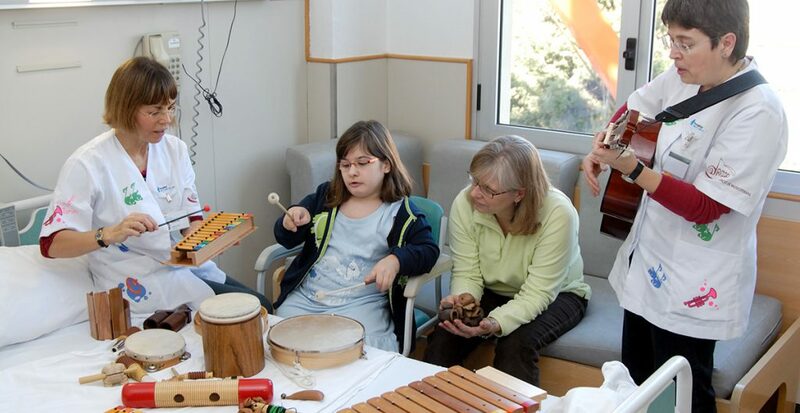 Weekly, we do a music therapy workshop to help them communicate, express themselves, interact with the environment and have an enjoyable time. 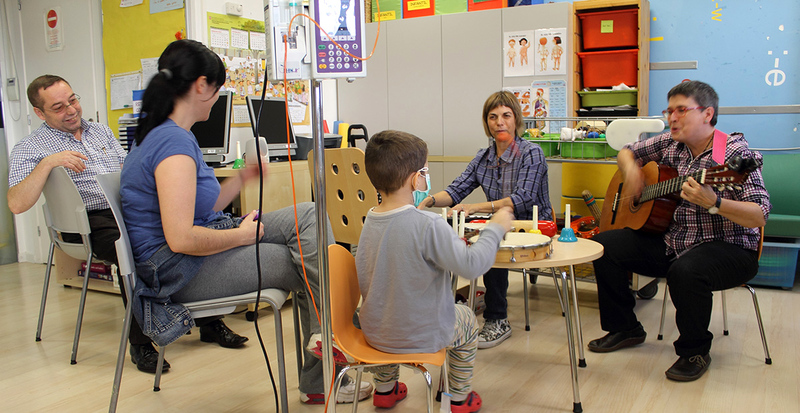 Music therapists together with Chil-life (nurse psychologist) value all hospitalized children who need special attention. 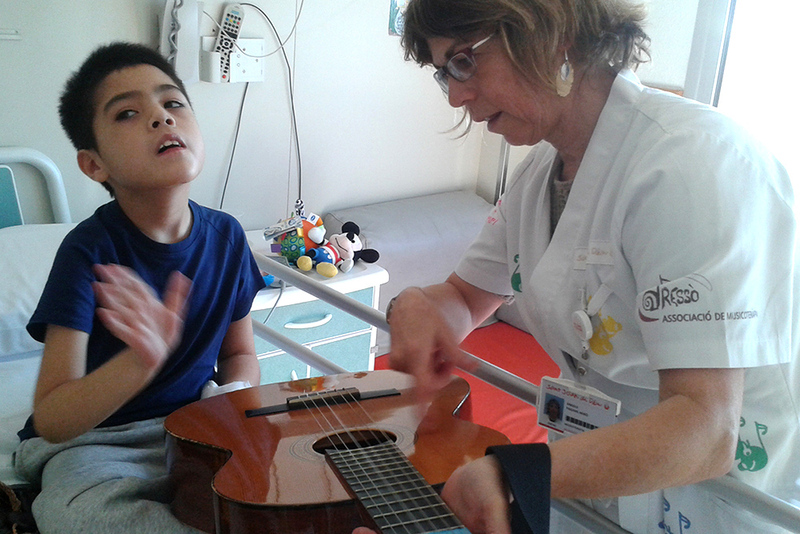 We prioritize several aspects: children who have suffered a difficult operation, those who have a lot of pain and chronically ill patients… With the songs and instruments. They are encouraged and always want to repeat the experience. In the hardest times in life music continues to accompany them and give hope. 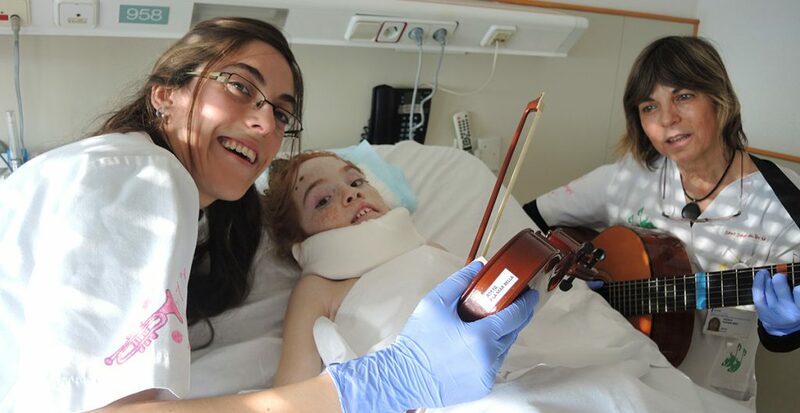 “Thank you very much to Ressò Association of Music Therapy, for having come at such a difficult time, to dedicate some songs to Joel and to give us some peace with your songs. Thank you all, from the bottom of our hearts”. Joel’s cousin. 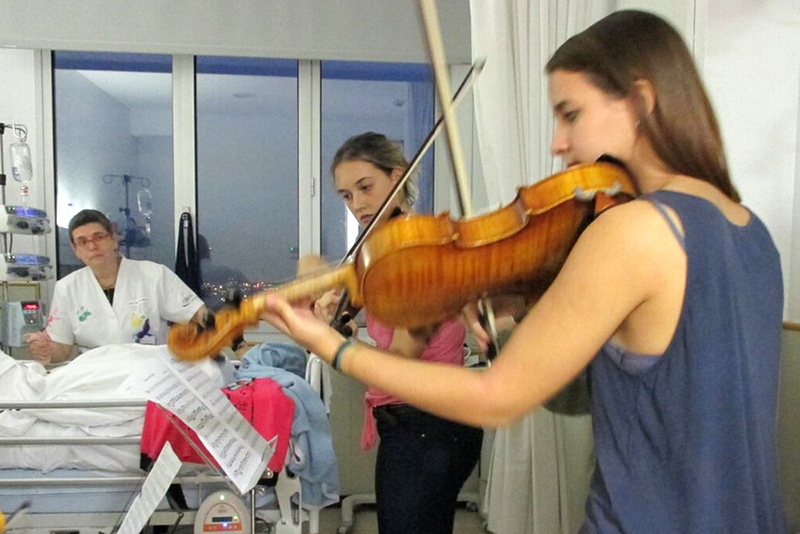 PURPOSE: To bring LIVE MUSIC to the hospitals to contribute to the HUMANIZATION, to improving the SOUND ATMOSPHERE and providing an enriching experiences for the musicians who participate. The concerts are played by volunteer musicians. They are carried out in the hall and on the floors of the hospital, coinciding with dates indicated on the calendar. 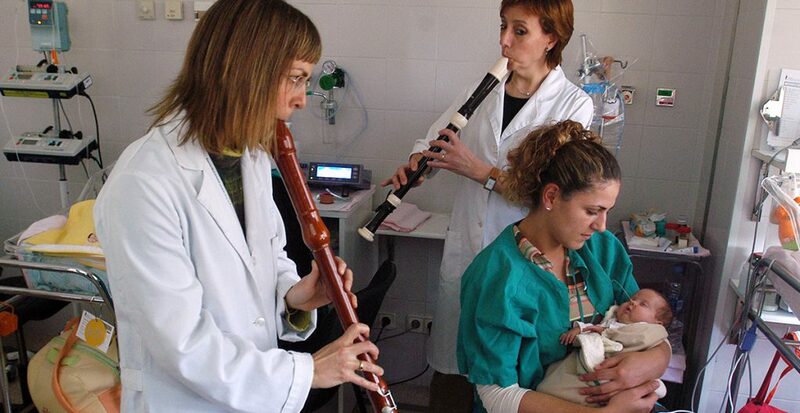 PURPOSE: To bring the LIVE MUSIC to the WAITING ROOMS of the external consultations in the hospitals to contribute to their HUMANIZATION, to improve the SOUND ATMOSPHERE and to contribute to an enriching experience for the musicians who participate. 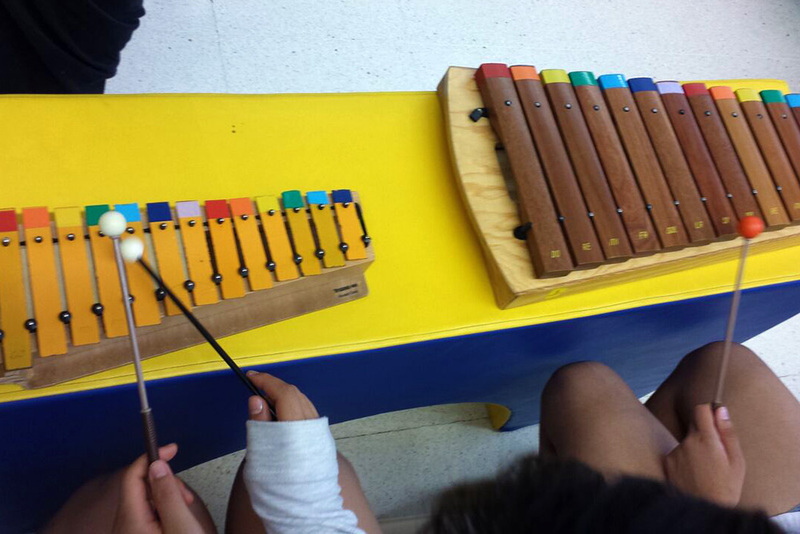 Volunteer musicians make a weekly or biweekly commitment to play music in different external consultations areas.